Everybody poops. It’s true. There’s even a book about it. Although kids love to say the word, “poop”, and talking about bodily functions can crack up any three-year-old (and sadly many grown men), we… ladies, don’t generally partake in such talk. Well, in my Mom’s day they didn’t. But the times have changed. Now potty talk is so blasé. When it comes to bathroom talk, my biggest concern is cleanliness. Not just the bathroom itself, by my behind. There. I said it. I want a clean booty. I will be going out of town for Thanksgiving to my parents, and thankfully I take after my Mom, because I know that she will have the comforts of home… like Cottonelle Ultra Comfort Toilet Paper and Cottonelle Flushable Wipes in both her bathrooms. I’ve used the flushable wipes for awhile now. Our bathroom, Cody’s bathroom, and out guest bathroom have a tub of Cottonelle’s Flushable Wipes in them at all times. I want everyone in my home to have a great bathroom care routine. 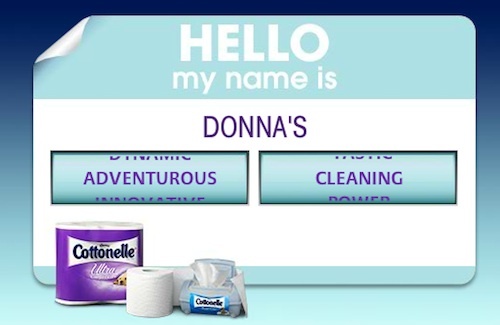 Do you have a name for your “care routine?” Cottonelle wants to hear it. In fact, they have a contest going on… a “Name It” contest on their Facebook page. Just submit your care routine name and you can win a year’s supply of Cottonelle Ultra Comfort Care and Cottonelle Fresh Care products. How awesome is that?!?! When I did The Personalizer I got… ADVENTUROUS CLEANING! Hmmmm, not sure what I think about this. I am adventurous. And I guess I can be quite adventurous in my cleaning. Okay, I think I like it. Since I’m not very creative, or just brain dead lately, I just can’t come up with a good customized name. As for The Randomizer – MAGIC STAR. Nah, doesn’t make me think of a care routine. So I’ll stick with Adventurous Cleaning. If you’ve not tried the flushable wipes before, I highly recommend them. My behind has never been cleaner. Tee-Hee. 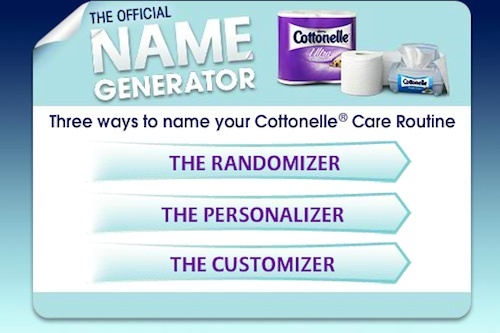 What would you name your Cottonelle Care Routine? 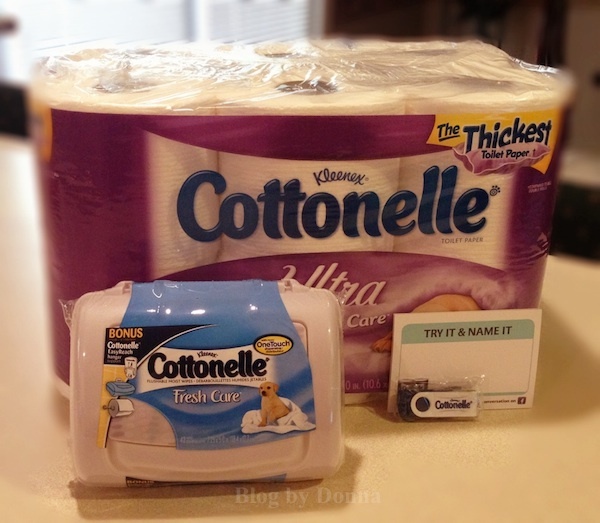 How would you like to win a pack of Cottonelle Ultra Comfort Care Toilet Paper and a pack of Fresh Care Flushable Wipes? And I have 2 to give away! Must be 18 years old or older. Open to U.S. residents ONLY. Ends November 19. Enter on the Rafflecopter form below. Good luck! Disclosure: I participated in a campaign on behalf of Mom Central Consulting for Cottonelle. I received product samples to facilitate my review and a promotional item as a thank-you for participating. Multi Task! I clean while my daughter takes her bath at night! swipe with a wipe for care down there!! I did the randomizer and got “bold take” lol! I enjoyed the information under frugal on the six money saving habits. In addition to increasing my use of coupons, I can buy in bulk more often and save that way also. Clean as a Whistle !!! OH, my bathroom care routine would be named Is it over yet. Mine came out to Invigorated Tastic. My name is Fancy Adventure.